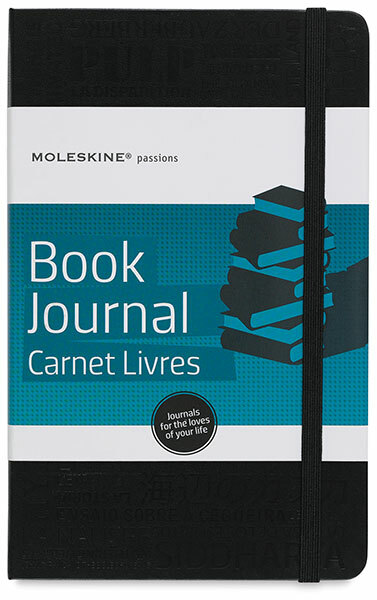 Created to preserve and cultivate the loves of your life, the Moleskine Passions line includes nine journals for writing, (re)writing, drawing, interpreting, and more. Encased in a hard, black cover embossed with themed images and writings, each 240-page journal of acid-free paper includes a different set of tools for page customization (including stickers and icons), plus glossaries, listings, themed calendars, blank pages for loose notes, a double pocket for clippings, tickets, and business cards, and ribbon markers in three different colors. 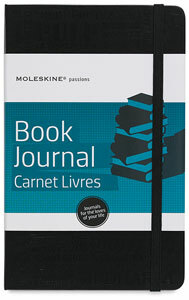 Book Journal — Includes alphabetically organized sections to personalize, six blank sections to be filled in as desired, blank pages, a bookmark, and 202 adhesive labels to further personalize the notebook.